On the occasion of the Balangiga bells’ imminent return to the Philippines, Juan Go writes about a little known facet of the Balangiga massacre. The Balangiga bells will finally be back in their rightful place. Yes, the Balangiga bells figured in the Filipino-American war, a significant but often ignored part of the history of Philippines-US relations. But few people know that behind the story of the bells is an interesting vignette in the intertwining destinies of the Filipinos and the Chinese. During the Filipino-American War, Filipino fighters scored a great victory over the American forces. 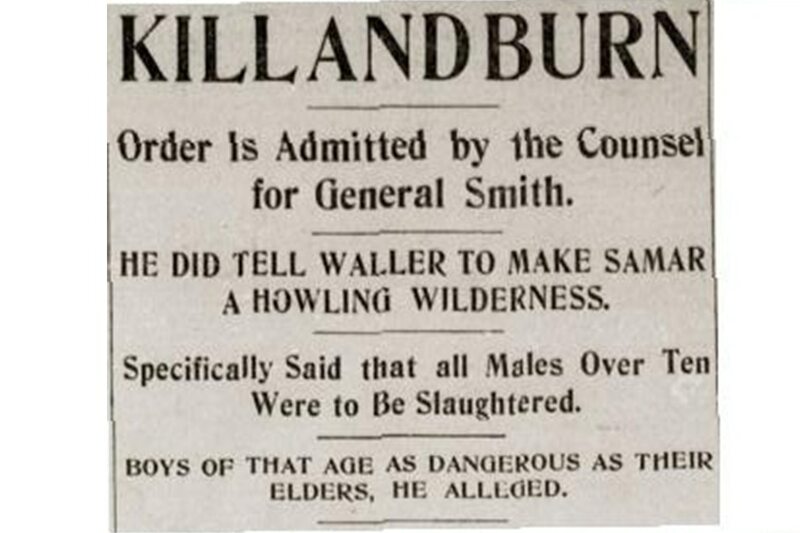 On Sept. 28, 1901, local guerrillas cut down eight officers and 50 enlisted men of Company C of the United States 9th Infantry in Balangiga, Samar. In this battle, Filipinos also took 52 valuable rifles and 26,000 rounds of ammunition from the girls’ school used by Company C as its arsenal in Balangiga. The townspeople helped in this endeavor. It was a genuine uprising by the oppressed and persecuted Samareños, led by the Balangiga townsfolk. The event is significant in Philippine history as far as Philippine-American relations and the Filipino-American war are concerned. In fact, after 117 years, our government succeeded in negotiating with Washington for the return of the two famous Balangiga bells the Americans stole as war booty after their ignominious retaliation in Balangiga. What few people know is Balangiga and Beijing crossed paths in this historical event. The 9th Infantry was actually sent to China to help quell the Boxer Rebellion and the American soldiers had just returned to the Philippines from China at the conclusion of their mission. This regiment arrived on the island of Samar to relieve the squadrons of the 9th and 10th Cavalries. The 9th Infantry had earlier left Manila for China on June 26, 1900 as the first contingent of the China Relief Expedition of the US to suppress the Boxer Rebellion in Beijing (formerly referred to as Peking by foreigners). 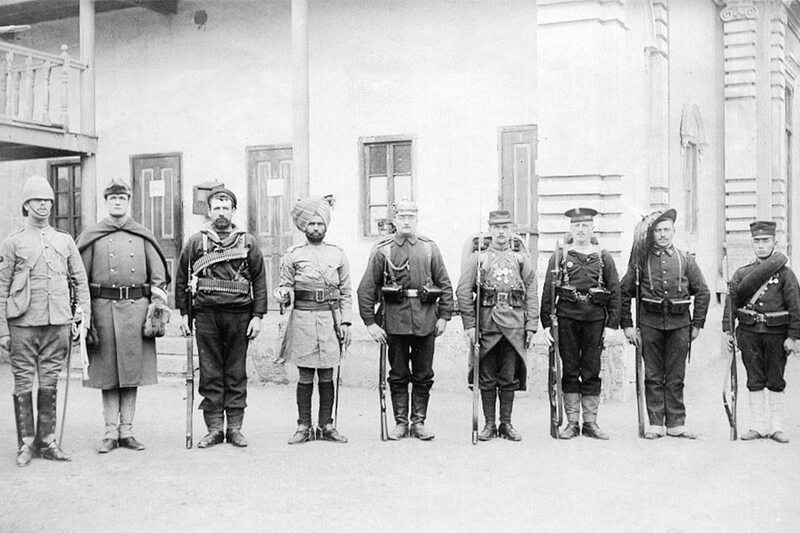 They joined the soldiers from seven other Western powers in suppressing the uprising in China. The foreign troops committed countless atrocities. They looted, ransacked and ruined Peking and many historic landmarks. Remember the 1963 film “55 days in Peking” starring Hollywood superstars Charleston Heston, Ava Gardner and David Niven? 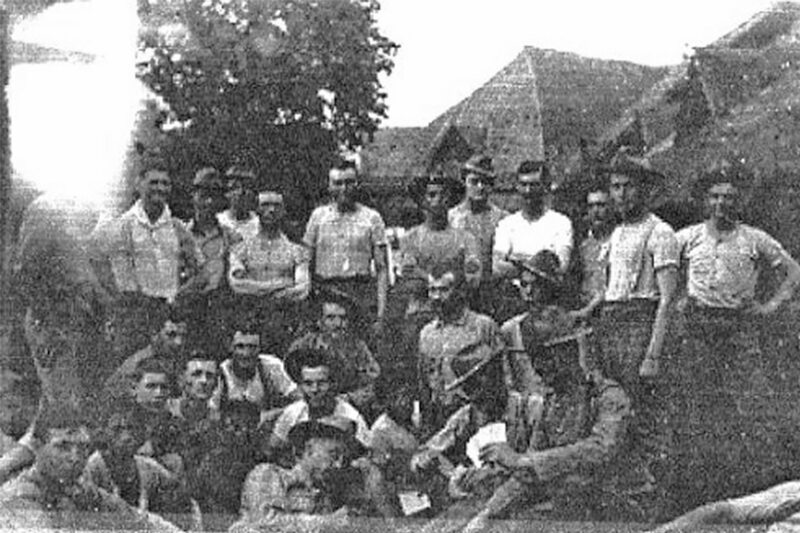 U.S. Marine Major Matt Lewis and British Consul Sir Arthur Robertson devised a plot to keep the “rebels” at bay until the international military relief forces from other nations arrive. These “rebels” were actually anti-colonial, anti-foreign and anti-Christian folk heroes who couldn’t anymore swallow the humiliation and subjugation of the eight imperialistic foreign powers who wanted to cut up China like a melon for their own ambitions. Back from China, this notorious Company C repeated their depraved and atrocious acts against the inhabitants of Samar even before the uprising in Balangiga, hence the extreme hatred of the Balangigans against them. “Then on 3 August, a platoon from Company C, accompanied by a 13-man squad of native police, set out on a two-day march up the valley of a river 10 miles north of Borongan. This mixed force killed all the carabaos they saw and burned all the houses in the valley except two homes that sheltered the women and children of the insurgents. “On the second day of their march, they found a herd of about a hundred carabaos. All the animals were shot while a few wounded allowed to dash into the bush. Commander of the US forces of Samar, Brig. Gen. Jacob Smith’s order was “to shoot, not to capture.” In retaliation for the Balangiga massacre, the whole town was to be exterminated. 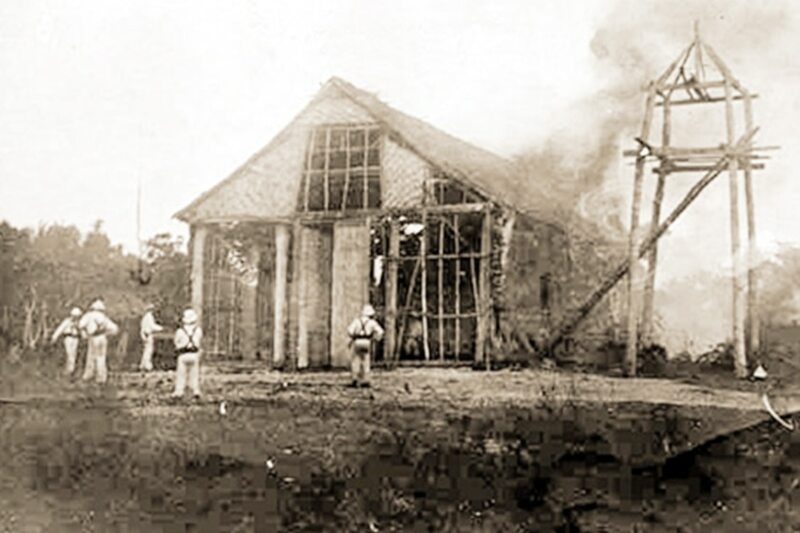 The town was razed and the Balangiga bells were stolen as war booty during this tragic event. Not just Balangiga but in fact the entire Samar province suffered the consequences of the Balangiga town’s uprising. There is speculation among Filipinos that the grand announcement of the decision to return the bells, on the eve of the arrival of Xi Jin Ping for a state visit to the Philippines, was timed as a goodwill gesture to offset the Chinese president’s limelight. But on top of that, when DFA Secretary Teddy Boy Locsin, Jr. was newly appointed, he was asked by US Ambassador to the United Nations Nikki Haley when Duterte will visit the United States. Locsin’s response was: “Not until the Balangiga bells are returned to the Philippines.” Hence, there is basis to believe that the timing of the announcement was deliberate. Moreover, in a way, in retaliating against the enemy, the Samar people also helped the Chinese avenge the cruel acts of Company C of the 9th Infantry in China. After all, the Filipinos and Chinese then were fighting a common enemy—US imperialism. Likewise, after the Taiping Rebellion, the biggest wave of Chinese migration to the Philippines in modern times happened during the infamous Boxer Uprising (1899 and 1901). Many southern Chinese fled during the civil unrest and made their way to Hong Kong and finally to many Southeast Asian countries, including the Philippines. 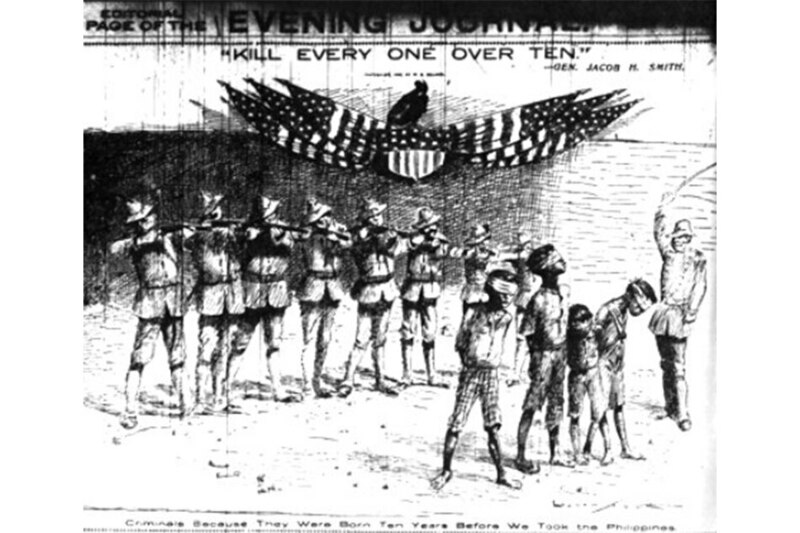 This period coincided with the Filipino-American war. At the end of the Boxer Rebellion, a lot more American soldiers were pulled out from China to augment their forces fighting the Filipino revolutionaries. Just like the Boxers (Yihetuan 义和团 in Chinese, called Boxers by foreign legation because of their kick boxing style of martial arts) who felt betrayed by the eight foreign powers and their spheres of influence in China, Filipinos felt betrayed too by the Americans who promised independence but in reality bought the Philippines from Spain for their own imperialist ambitions. Both the Filipinos and the Chinese were fighting for their birth right and their independence from colonial powers. These vignettes highlight the shared history, shared legacy and shared destiny of the Filipinos and Chinese. Edited and translated by Teresita Ang See from the original Chinese article by Juan Go.